A monthly Welsh language temperance periodical that circulated mainly in north Wales. The periodicals main contents were articles on temperance, news and reports on the activities of temperance societies in north Wales and poetry. 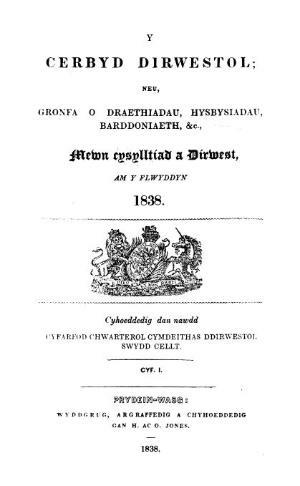 The periodical was edited by the Calvinist Methodist minister and writer, Owen Jones (Meudwy Môn, 1806-1889).